A true Laser Particle Counter with 2 size ranges - small (bacteria, mold, etc) large (pollen, etc.). Like other Pro versions of the DC1100 it has all the features of the standard DC1100 but with increased lower sensitivity - detecting particles down to 0.5 micron. The large particle size range is calibrated to 2.5 microns and above. Has EMI shielding which prevents interference from the high voltage power supplies found in some air purifiers. 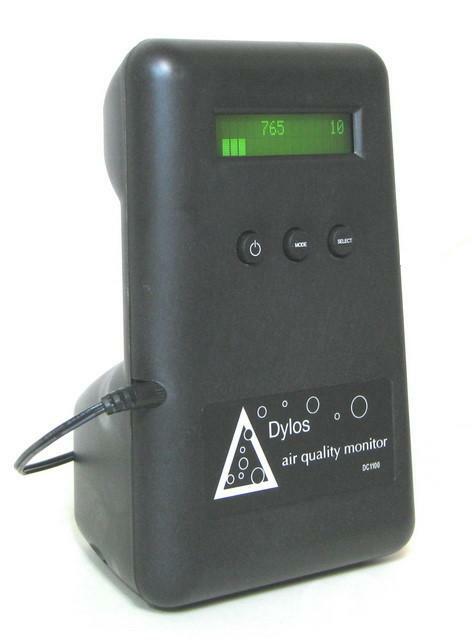 This allows accurate readings to be taken directly at the air purifier output. This shielding may also give the enclosure a slightly different texture than other versions of the DC1100. Has a rapid update which allows for faster demonstrations. The readings will respond fully to a change in particle levels within 6 seconds.